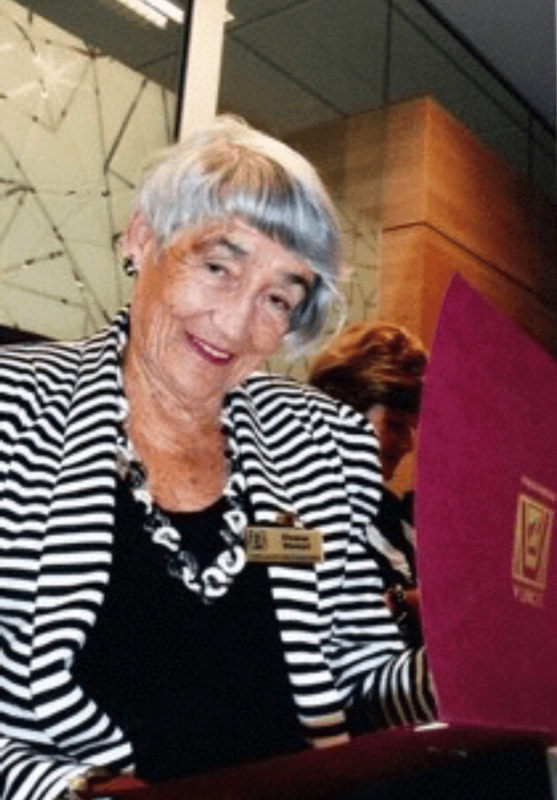 Eleanor was introduced to Zonta by a then current member of the Zonta club of Christchurch North, attending three introductory meetings before becoming a member. It was in February 1981 that Eleanor officially joined the Club. The formats of the meetings were exactly the same as today, dinner, speaker and meeting, but in those days they did have a welcoming glass of “Sherry” on arrival. Eleanor has held many positions during her term in Zonta; Committee Chair of numerous committees, President of the Club on two different occasions, Area 3 Director and member of the District 16 Nominating Committee. Eleanor and Jennifer Familton were appointed Area Trainers during Mary Kincaid’s Governorship. Eleanor assisted Carolyn Marks in establishing Zonta Club of Nelson but unfortunately this club does not exist now. She was SOM for Zonta Club of Marlborough which chartered in 1995 and is still going strong. Highlights: Since joining the club Eleanor has attended and participated in other combined Zonta club functions and meetings. She loved getting involved in fellowship functions, especially in her earlier years when many luncheons were held in members’ homes to raise funds for Mini Projects. She has particularly enjoyed attending District 16 Conferences and world wide Conventions. Eleanor’s first Zonta Convention was in Dallas in 1990. She attended this Convention with Anne McPhail, Hanny van Til and Anne Johnston. Eleanor recalls this event was held in the biggest hotel she had ever seen. Leneen Forde was installed at this Convention. Eleanor also attended the Convention in Hong Kong, where Joan Mary Longcroft was installed; what an exciting time. Other Conventions she has attended were held in New York, Detroit, St Louis, Paris, Hawaii and Melbourne. The highlight at these Conventions was being with many Zontians from all over the world. Eleanor had a wonderful time and this opened up her eyes to the bigger picture of Zonta International. Eleanor participated in a very successful and well remembered Clothing Award which was targeted to secondary school students from all over Canterbury, all members of the club were involved on the night with the ushering, dressing and organising of this event. She loved seeing young students getting involved and taking up opportunities to develop their skills. Eleanor has been a member of the Tertiary Scholarship Committee; this is a long standing scholarship which was instigated by members from the three Christchurch Zonta clubs, who held three successful debates in the town hall organised by Ann & David McPhail. Funds raised from these events formed the foundation of an investment and interest bearing account which, along with club contributions, allows the scholarship to continue today. In, 2015 Eleanor still enjoys attending the club and committee meetings and any social function that the club has organised. Eleanor has loved her time in Zonta.